My AMP Life: What are K-Levels? What do they mean? The amputee K-levels ranking system is the Medicare standard practice in the United States for classifying amputees into 5 classes (K0, K1, K2, K3, K4) a 5-level functional classification system related to the functional abilities of lower-limb amputees. In simple words, The higher the K Level, the more activity the amputee can tolerate. K0 – No Mobility. This base level is assigned to amputees who do not have the ability or potential to ambulate or transfer safely with or without assistance. 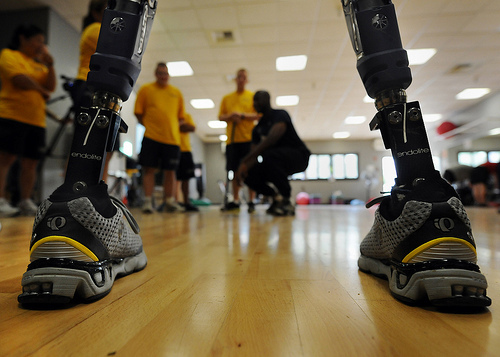 A prosthesis does not enhance the quality of life or mobility of the amputee. K1 – Very Limited Mobility. The amputee has the ability or potential to use a prosthesis for transfers or ambulation in level surfaces at a walking pace. Walking at various speeds, bypassing obstacles of any kind are out of the K1 class. 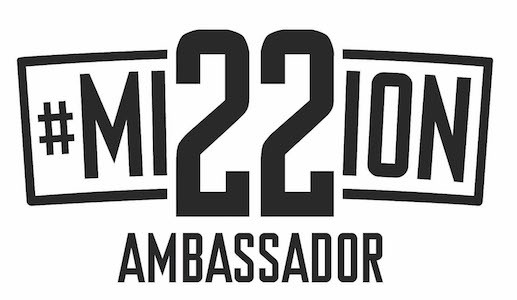 K2 – Limited Mobility – The amputee has the ability or potential to use a prosthesis for ambulation and the ability to adjust for low-level environmental barriers such as curbs, stairs, or uneven surfaces. K2 level amputees may walk for limited periods of time however, without significantly varying their speed. K3 - Basic to Normal Mobility. The amputee has the ability or potential to use a prosthesis for basic ambulation and the ability to adjust for most environmental barriers. The amputee has the ability to walk at varying speeds. K4 – High Activity. The amputee exceeds basic mobility and applies high impact and stress to the prosthetic leg. Typical of the prosthetic demands of the child, active adult, or athlete. Amputee K-levels are determined by the treating physician and/or the prosthetist. To evaluate the amputee condition, they consider previous activity of the amputee, residual limb condition, other medical problems, the amputee desire for activity and other factors. It is a dynamic system and the amputee K-level may change with time. A motivated amputee could go up K-levels. It is important for an active amputee to be classified in his/her appropriate K-Level so that components that are designed for higher activity levels would be covered for payment under the Medicare guidelines. Once an amputee is assigned a K-level, this dictates the class of the prosthetics the amputee can purchase. After my appointment yesterday, I was told that a level K4 was a myth and unattainable. That there were no K4 level amputees. Now while I remain a K3 I cannot obtain a running blade, a swim leg or any other specialized leg to help me advance my physical fitness. The foot - ankle system I currently have, while allowing me a very normalized gait, precludes taking it into the pool or running on it. The foot itself could handle the stress but the ankle has hydraulics in it that could be damaged. I assist in coaching my daughters softball team, and occasionally need to hustle to get a a ball. I also golf, hike, fish and swim. Currently most of these activities are limited by my ability to ambulate with my current leg system. I need a higher K rating to get a better leg. I just don't know how to do it. "I want a Ferrari, I can drive a Ferrari, I have the skill. 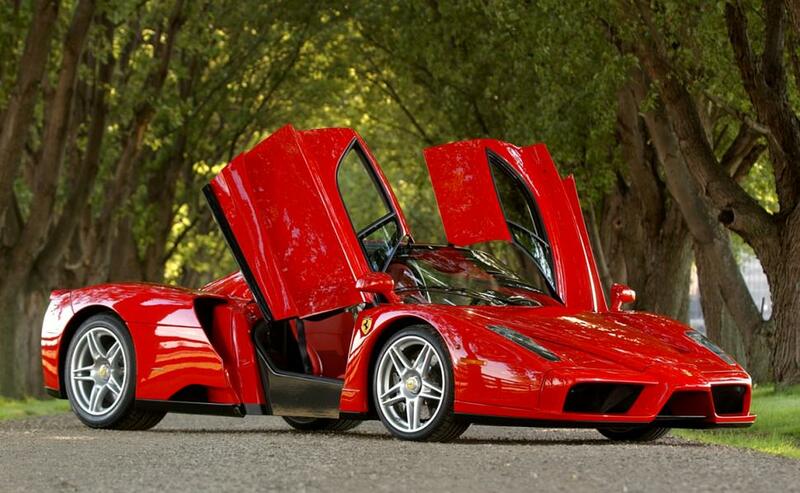 I would like to own a Ferrari, it would make my life more enjoyable. I know I can't afford a Ferrari, but that shouldn't keep me from having my insurance company from seeing my desire to improve how I get to work and enjoy my free time. I know that having a Ferrari is not a necessity, but it is my heart's desire. Why can't I have one?" Looking at it that way, I am not a professional athlete. While I would like to get a foot - ankle system that would support running, I do not need it yet. There are several options out there. I have heard a lot of good things about the Rush Foot, and it intrigues me. I will be exploring other options within my current K level and will keep you updated. Very details. I have to thank for that. Keith, that is well said, but I am not sure it is complete. K-4 provides for "active adult or athlete" High impact, stress.... you coach soft ball! Just playing with your kids on a field puts added stress on a prosthesis. So, as a prosthetist, I have qualified many people for K-4 in your situation. You just need a corroborating physician, preferably a physiatrist. Now, getting a sports leg paid for is another story. Medicare and most insurances pay for only one prosthesis, so if you want a second one it's on you. Still, we often try to use a patients old prosthesis to meet some of these needs like water sports and showering. Here in Florida, people want something for the pool or beach. Also, consider something multi-functional like the Cheetah explore foot. It has a heel and is not plantarflexed for sprinting, but has a ton of energy storage for all around sports and everyday walking. Also, the Ferrari comparison needs refinement. No prosthesis is a Ferrari, that was your natural leg. Prosthetics have a long way to go to reach that level, lol. So, don't let your insurance say you are asking for too much. You are asking to get as close a replacement to your natural leg as you can so you can do the activities you did before, not become something you weren't!